These ducks are so colorful - you captured all of the plumage variations in that light. I've seen a few shots of one wintering here in Colorado, but I've yet to see it. Stunning colors! 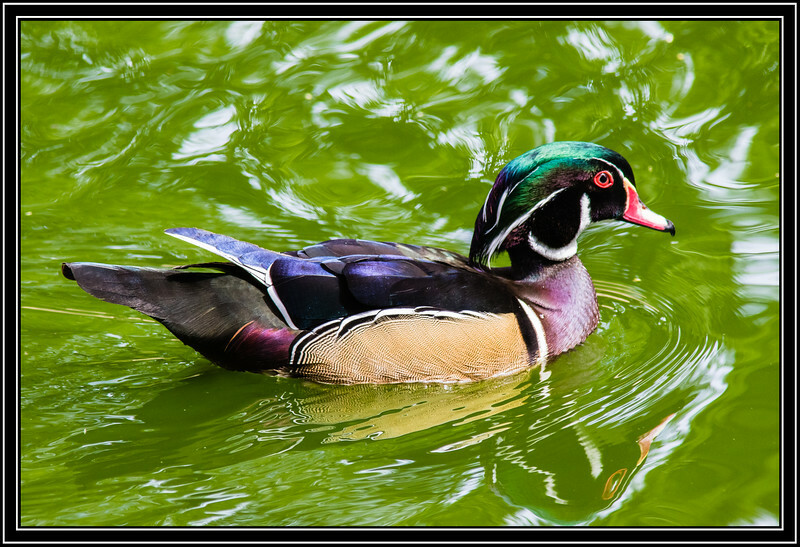 You did a magnificent job capturing the colors and details of this Wood Duck. Mother Nature must have been in a teriffic mood when She designed this duck !! Beautiful duck, beautiful shot !! Great shot of this pretty and colorful duck! WOW! what a great shot!!! Stunning! Awesome capture of this handsome fellow, great reflection too!